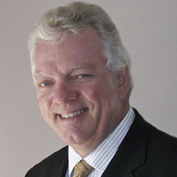 Mr. Tholl serves as the Founding President and CEO of HealthCareCAN (formerly the merged Association of Canadian Academic Healthcare Organizations and the Canadian Healthcare Association). The mandate of the new organization is to speak with one unified voice on behalf of Canada’s healthcare community to advance organizational and health system performance. Prior to joining HealthCareCAN, he was the Founding Executive Director of the Canadian Health Leadership Network (2009-2014). This network was formed to increase leadership capacity throughout Canada’s health and healthcare systems. Mr. Tholl also served as CEO and Secretary General, of the Canadian Medical Association (2001-2008) and CEO of the Heart and Stroke Foundation of Canada (1995-2001). The Globe and Mail has described him as “Medicare’s Mr. Fix-it”. Mr. Tholl holds a graduate degree in health economics from the University of Manitoba, is the recipient of numerous national awards, and has written on many topics, most recently as the co-author of “Bringing Leadership to Life in Health” (Springer, January 2014).